Since it first arrived on the scene, the band Train has been rolling out the hits. And it looks like the group has another one on its hands with "Calling All Angels," the first single off of their new CD. That's just one of the songs the boys in the band performed on The Early Show as a part of the Summer Concert series. They also sang, "When I Look To The Sky," and two of their hits, "Meet Virginia" and "Drops Of Jupiter." Pat Monahan (lead vocalist), Charlie Colin (bass/vocals), Jimmy Stafford (guitar/vocals) and Scott Underwood (drums) are the remaining members of the rock group Train. Rob Hotchkiss left the group prior to their work on the new "My Private Nation" CD. About his departure, Monahan says, "I think when Rob made the decision to move on because traveling really - in this line of work -- it gets to be pretty intense. But we have always loved it. And I think that it exhausted him. And we felt that he made that decision for us as well. So we feel like there's this great enthusiasm that we have for the future. So everything is right where we'd like it to be." Underwood tells The Early Show co-anchor Julie Chen "My Private Nation" is kind of a snapshot of the band. He says, "I'd say this record pretty much represents about a year and a half of the life of our collective life together. We traveled the world. We've seen a lot of things. We've learned. We've grown as people. We wrote about all year for this record. So it's really representative of our lives right now." The release of "My Private Nation" in 2003 reflects the change and growth spurred by the "Drops of Jupiter" whirlwind. Colin says, "We have had more opportunities to write in different ways. Like, we write together as a band. We write by ourselves. We write with a couple guys. So we've done it in different ways. We write on the bus. Used to be we'd go to rehearsal and got a song. Now it's gotten to be where we've gotten to use more of our ability, maybe more of your personal talent, so the band's expanded." Train began in 1994 when Pat Monahan, an Erie, Pa., native living in Los Angeles, met Rob Hotchkiss (who left the band in 2003.) After moving to San Francisco and , like Hotchkiss, were veterans of the Apostles, an L.A. band. Scott Underwood came on board as drummer shortly afterward. In 1996, the band went to New York City to play a showcase date for Columbia Records. The company turned it down. "We decided maybe they were right," Monahan said, years later. "We made a lot of changes with the band, and I changed in my life by asking myself how I could be a better bandmate, friend, husband and father." The band's self-released and self-titled debut album was produced by the band and Curtis Mathewson. In February 1998, Aware/Columbia picked it up and the band hit the road in a rundown 1987 Dodge Ram van with a little red trailer. It stayed on the road for the next two years. In autumn 1998, the Fox TV series "Party of Five" began to feature Train's first single, "Free," which had already received steady radio play. By August, a second single, "Meet Virginia," led Train to a four-week stay at No. 1 on Billboard Charts. In November 1999, the album went gold. It went platinum in March 2000. By June, "Drops of Jupiter" was certified platinum. By April 2002, the single had spent a total of 53 weeks on the Hot 100. 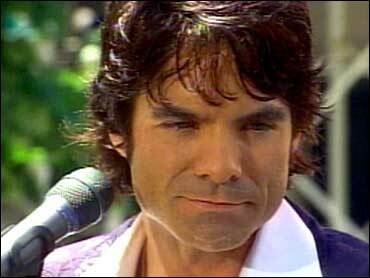 It won a Best Rock Song Grammy for Train as well as a Best Arrangement Grammy for orchestrator Paul Buckmaster.